Food bags are going to be easier to get hold of in Fife. 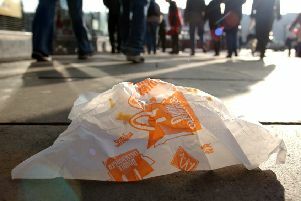 Food waste bags are to be more evenly distributed across Fife after it was discovered that some areas were missing out. In 2018, doorstep delivery of the bags was stopped when the service suffered £80,000 cut to its budget. However, the bags were still available for free at recycling centres, community centres, customer service centres and community use schools across Fife. But a review of the service has revealed that the distribution of bags was unevenly spread across the Kingdom. For example, Levenmouth has a coverage of one collection point for every 1,797 households but in Kirkcaldy it is one for every 5,043 homes. An underspend in budget has meant these distribution points can be increased, with the sites being devolved to area committees in an effort to bring back some balance. The distribution points are stocked by Fife Resource Solutions, which manages the budget on the council’s behalf. Servicing the collection points has put pressure on the food waste bag budget and the uneven geographical spread has the potential to create a degree of ‘feast and famine’ as stock is used up throughout the year. At the environmental, protective services and community safety committee, Martin Kingham, from Fife Council’s waste operations team, said: “The bags don’t degrade as we would like. We would be happy to see no bags coming through the service as they’re not an essential part of waste recycling. The service will be reviewed on a three-year basis.